Award-winning “chilling queer noir” TUMULUS transfers to Soho Theatre! 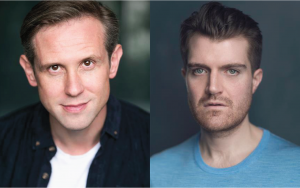 Ian Hallard (The Boys in the Band, Vaudeville and Park Theatre) and Ciarán Owens (Candide, RSC) are to star in the transfer to Soho Theatre of Christopher Adams’s play, TUMULUS, a fast-paced noir-style murder mystery thriller set against the backdrop of London’s gay scene. 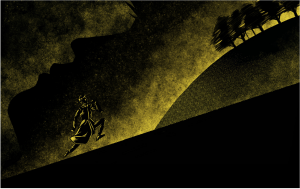 Inspired by a true story, TUMULUS, directed by Matt Steinberg, will run at Soho Theatre from 16 April to 4 May 2019. This sharp and witty modern thriller has all of the ingredients of a nail-biting murder mystery – a troubled detective, lying witnesses, spurned lovers and red-herrings. Three actors play over 40 roles between them, creating digitally generated voices and orchestrating live foley sound effects. The original production was Winner of an Origins Award for Outstanding New Work at VAULT 2018, where it received multiple 4-star reviews and sell-out performances. Suitable for audiences 16 years and over. Contains sexual and drug references. Produced by Paul Casey Productions and Outside Edge Theatre Company. TUMULUS is supported by Arts Council England and Royal Victoria Hall Foundation. There will be post show discussions on Saturday 20 and 27 April at 4pm presented in association with world-leading sexual health clinic 56 Dean Street and Outside Edge Theatre Company – the UK’s only theatre company focused on substance use and addiction.